So some pretty interesting things happened this week in terms of social media, user experience and advertising. After taking much of this activity in, I’ve made some realizations. I was reading a very thought provoking post by David Berkowitz where he asks the question, “Is Social Advertising Broken?”. I’ve thought for some time that Facebook in particular seems to have a very broken advertising model. The one thing that I took away from it is that social advertising is almost five years old and even Facebook doesn’t have a good handle on it – and it matters more to them than anyone. This is probably not news to you but read on. Paying to Make Sure My Fans See My Content? This is a dangerous question to answer. If the answer is ‘no’ then the value proposition for promoting posts through advertising dollars is to hope to have that post stay on peoples’ news feeds longer and garner more comments. I’d imagine that this would be rendered useless if you are like me and sort your news feed by most recent. Not good for Facebook. More interesting – and dangerous – is if the answer is ‘yes’. If you are going to start to suppress my content to my fans who have essentially opted in to see that content by liking my page, you are severely reducing the value of my setting up a “free” page on Facebook. Mike’s sources estimate that about 10% of people see your content when you share it on your Facebook page. I suspect that’s just because not everyone is sitting in front of their computer waiting for you to post something (page or personal status update). Suppressing content to an even greater degree would really make the page fairly useless. Essentially you will be forcing people with these “free” pages to spend advertising dollars to have the pages function somewhat like they used to. Can Facebook Afford to Play Games with Their Fan Base? I think this will really hurt Facebook’s odds of bumping up their already disappointing share price. It’s no secret that the company has lost a ton of its value since the IPO. Facebook may not care since they were forced to go public due to their legal status of having a certain number of investors. What they do care about is keeping their user base intact. This action will discourage many to either take down their pages, abandon them, or move to another platform. Driving page owners off of Facebook will also drive the actual users who own those pages away from the platform as well – their user base. The less people you know on Facebook, the less time you spend on Facebook and the more likely you will be to move from Facebook to where those people are going. Social Networking is very momentum driven. Just like in 2006 when Facebook was Nowheresville and MySpace was all the rage, by 2007 it was catching fire and by 2008 it was the big dog on the block. Now, none of this matters if you don’t have anywhere else to go but…. Google+ just rolled out a new program yesterday that will really appeal to any business owner that has a physical location. 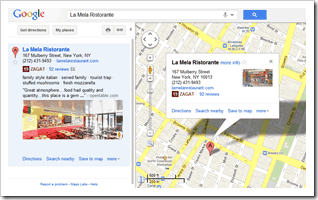 Google Places is a program that Google rolled out some time ago and has built into Google Maps. It will allow you to claim your business and keep its records up to date as well as see first hand when people review you or add pictures – essentially reputation management meets directory assistance on a map level. It’s pretty great and I have recommended any client I have to make sure they get their business on Google Places and keep it current. 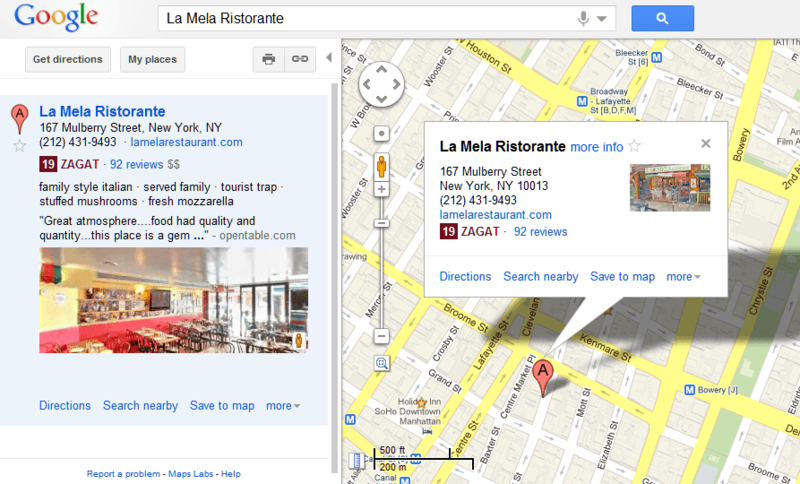 It’s like free advertising for your business on the best map search in the world. Why wouldn’t you do this? But now Google has sweetened the deal. 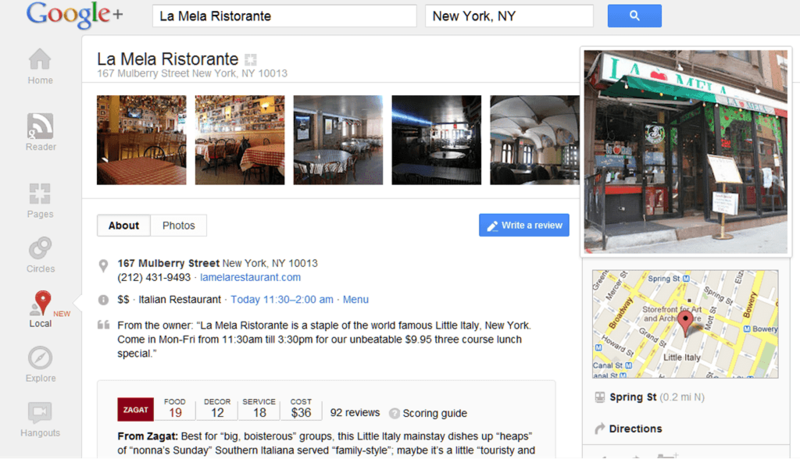 They have fully integrated those Places that you have all been working so hard to maintain right into a ‘Local’ tab right in Google+. If you are not smiling right now you should be. 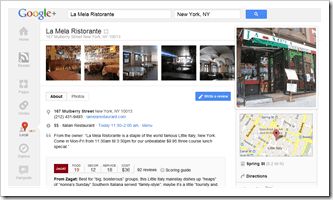 You see, not only does this give end users a much easier way to post reviews of your business – which helps your organic SEO like crazy – but it also has created you a default Google+ Business Page that has content already built in! Photos, reviews, company information are all already there. All you have to do is claim it and now it’s yours. What’s more is that now people have the ability to +1 your page. This, in my opinion, may be the best part of the deal. I’m not going to rehash the benefits of +1’s and social search. You can read that here but what I will say is that making it easier for people who love your business to show that (+1) will make it easier for people who are looking for a place their friends love to find it. This move basically makes your page a one stop shop for information about your business and people will get there from any number of original locations. All roads lead to your page. Well for one, you’d better get moving and go claim your business. If it’s not up in Google Places you’d better add it and claim it. Then you’d better make sure all the info is right, read all the reviews and pictures to make sure they all look good. While there’s nothing you can do about the bad reviews, you now have the ability to reach out to those people to make things right. Boy, do I wish everywhere I ever worked had the opportunity to try and make things right with their disgruntled customers. 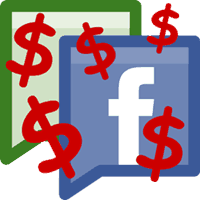 Now this doesn’t mean you have to abandon your Facebook page or strategy. You will however have to do some more research and see if spending the money to get your content in front of someone you once didn’t is justifiable. When it was completely free, was it ringing your cash register in any way? If not, maybe you don’t spend the money. If that’s the case, be prepared for lower engagement and traffic numbers. Personally, I like that the free option that Google is offering is better than the Facebook option ever was and right now it would be impossible for me to ignore this as a business owner. Oh, and it will get you more organic eyeballs on Google.com than before too. Seems like a no brainer. Facebook is definitely shooting itself in the foot, long term; but for now the sheep will pay whatever they are asked to get their message in front of more eyeballs. As I have preached so much in the past, people, for the most part, still look at social as a one-way advertising medium – the old megaphone metaphor- rather than a medium to foster engagement. Long term impact, businesses and individuals will realize that paying for preferred placement is not generating ROI, and will begin drifting away to other platforms. I refer to Google+ as the thinking person’s platform. Yeah, it hasn’t caught on with the masses like FB, but the quality of engagement is so good, G+ cannot be ignored going forward. I’m with you @joespake:disqus Google+ is better suited to allow small businesses to really engage their audience – especially with these new developments. Finally! Someone else is saying what I’ve been thinking/saying for the past couple of years! 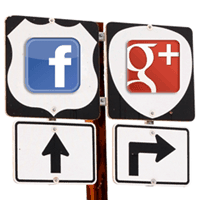 Yes, there is some value to all the Social Media hoopla – but some of it is just hoopla. At some point, a business must function as a business, not as a Facebook “friend” trying to have relational ‘engagement’ with those it actually wants to do business with – unless your business IS ABOUT relational engagement! Hey, don’t get me wrong. This stuff will work for some folks – just not most. I think the reviews and the SEO juice that Google offers is a really nice feature and free is hard to beat. Facebook needs to make some improvements – and fast – if they want to stay competitive. Business is in business to do business after all…..